Founded in 1965 by Hartley Peavey, the Peavey Electronics Corporation is a major manufacturer of musical electronic audio equipment. It is most widely known for its guitar amplifiers and PA speakers. To date a Peavey amplifier, you can consult a number of books or online resources or you can contact the Peavey company directly. Examine the back of your Peavey amplifier. Write down the serial number, which consists of some letters followed by a set of numbers. Write down the model name and color. Contact the Peavey company at customerservice@peavey.com. Send an email inquiring about the age of your amplifier. Include the model name, color and serial number. A representative will reply to your email within several days. Use a book such as "The Peavey Revolution: Hartley Peavey: The Gear, The Company and the All-American Success Story" by Ken Achard. Search through the photographs of Peavey amplifiers from the 1950's to present. Read the amplifier technical specifications to assist you in dating your amplifier. Use an online resource such as "Harmony Central." Scroll through the Peavey amplifiers page and click on the link of your amplifier's model name. Read articles, reviews, and view specifications about the amp's performance and history. Use a book such as "The 3rd Edition Blue Book of Guitar Amplifiers" by Zachary R. Fjestad. Amplifiers are listed in alphabetical order. Match your amp model and serial number to find the year. The approximate value is also supplied, depending on the amplifier's condition. 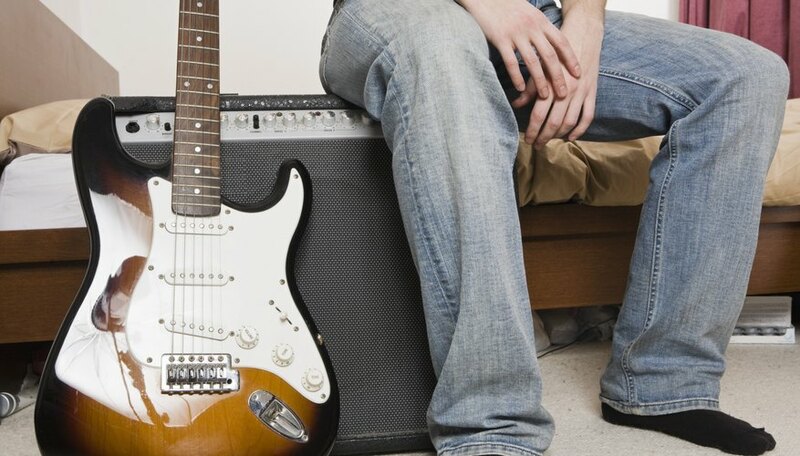 Contact a guitar and amplifier appraiser to find out specific details, such as the age and value of your amplifier. Inquire at local music stores for appraisal services. Bring your amplifier to a local appraiser. Take a photograph of your amplifier and attach it to an email if submitting a question to Peavey or an online appraiser. Appraisers charge a fee for their services.